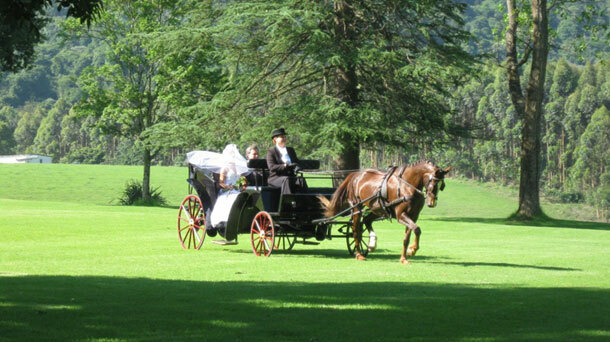 Does your dream wedding include you arriving in style in a horse drawn carriage? If so this can come true thanks to Barbara Zietsman and her dream of driving a wedding carriage and adding to the love and joy to your wedding celebration. After moving to the Midlands, and securing a farm, Barbara commissioned a bespoke carriage from a carriage builder in the area. After an extensive research period and many redesigns of the carriage to ensure that large wedding dresses wouldn’t be crumpled, her dream became reality. The result is a beautiful canopied vehicle, painted dark burgundy – almost black – with red burgundy wheels and black button quilted upholstery. This makes a truly fantastic entrance as it is drawn by the very special Shire horse, Miss Molly Potts. With her dark, shiny chocolate brown coat and roses and ribbons in her mane, she adds a unique statement to your special day. The cost of the Carriage service includes is transport (within a 40km radius of Nottingham Road), as well as an allocated amount of time. So if you’d like to arrive in style, Champagne Carriages would love to make your entrance even more memorable. 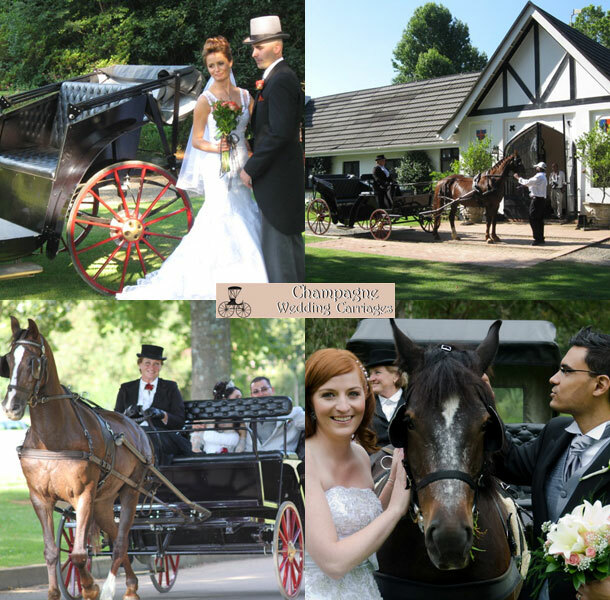 To book Barbara, the carriage and Miss Molly Potts please telephone Barbara on +27 (0)82 854-5698.